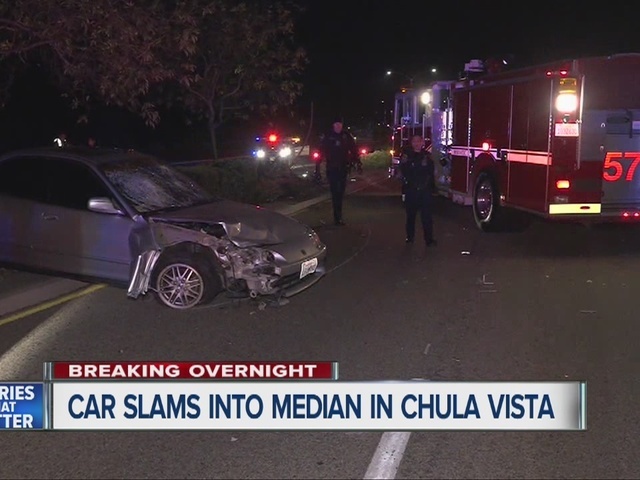 CHULA VISTA – Police say a driver fell asleep at the wheel, lost control of his car and smashed through a median early Friday morning in Chula Vista. The collision occurred at about 3 a.m. on Olympic Parkway, near Heritage Road. According to Chula Vista police, the driver tore through the median, crashed through a concrete light pole and landed in some trees. The crash mangled the front end of the car and shattered the windshield. Police said the man was not under the influence of drugs or alcohol, he simply fell asleep at the wheel. He won’t face any charges. However he’ll be financially responsible for replacing the light pole and the damaged trees, police said.